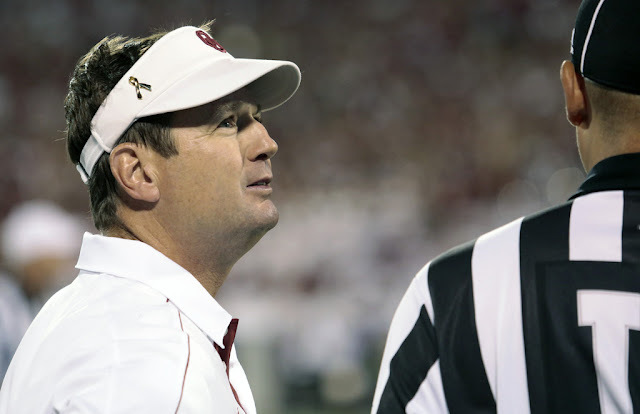 University of Oklahoma Football Coach Bob Stoops had some stitches in his cheek when he made a stop in Tulsa Monday. A university official says Stoops had a growth removed and that it was not cancerous. It's being described as a minor surgical procedure. Coach Stoops, OU women's basketball coach Sherrie Coale, men's basketball coach Lon Kruger and several student athletes made their stop in Tulsa Monday afternoon as part of an OU Caravan tour to thank loyal Sooner fans around the state.